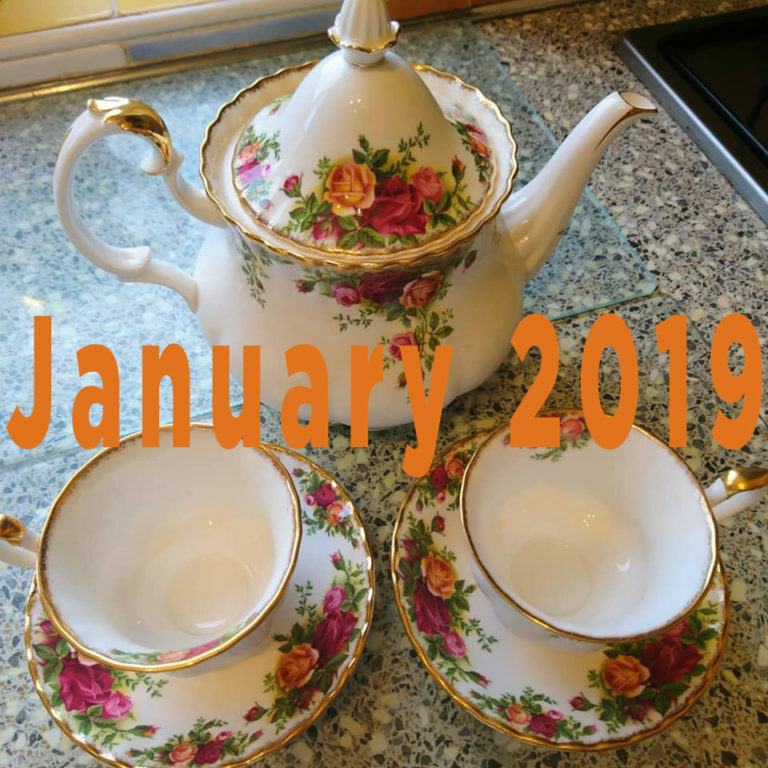 Yesterday Victoria hosted the first tea party of 2019 with her local group for Contact the Elderly. It was a full house with all four current older guests joining in along with their volunteer drivers. 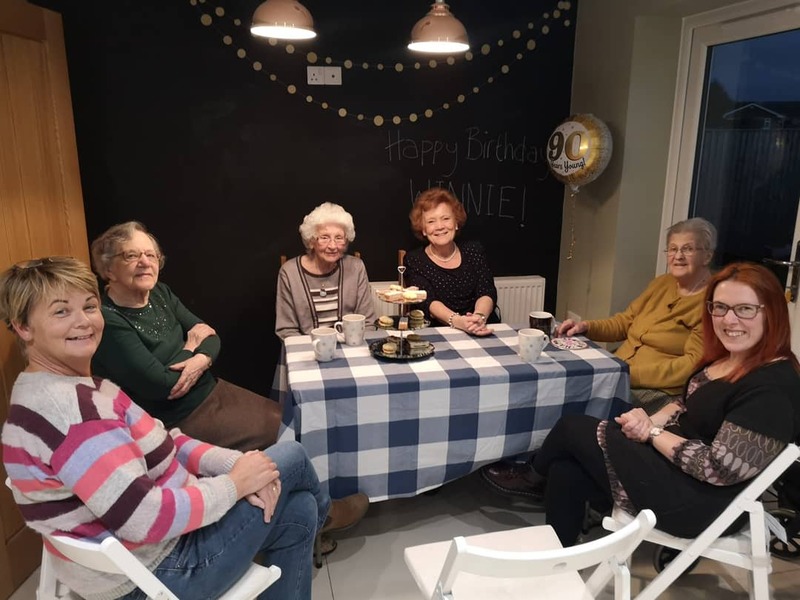 It was a lovely occasion in it’s own right, made even more special as it also happened to take place a week before one of the guests, Winnie, turned 90! 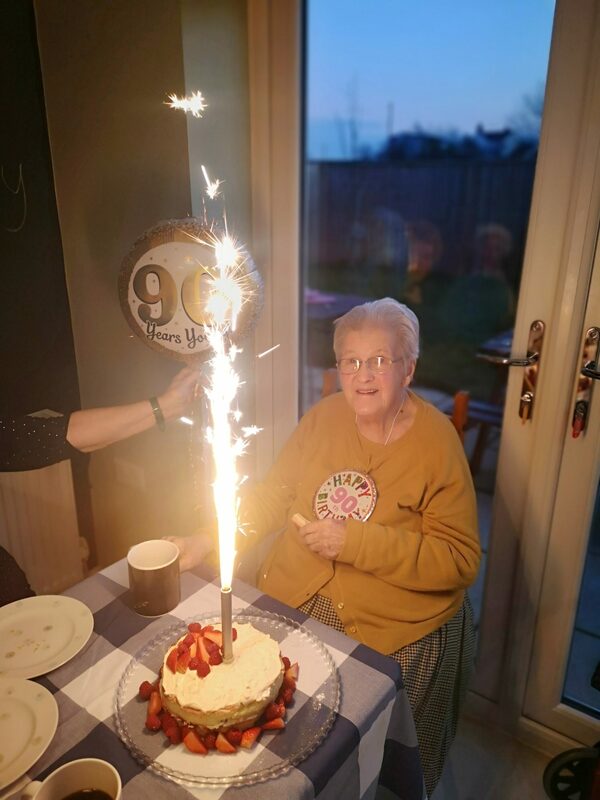 So the group also celebrated with a cake and some gifts for her.